Whether you are a Client, Contractor, Architect, Designer, Contract Administrator etc. 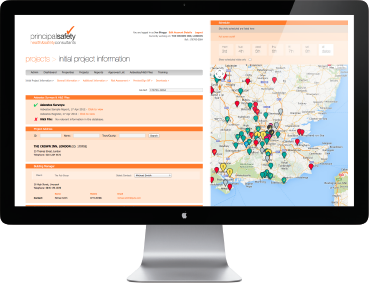 our CDM Portal solution can help you to meet your H&S obligations in an organised, simple, cost effective way. Solid infrastructure with 99.9% uptime and regular backups to ensure data integrity. If you think you’d like to find out more about the CDM Portal and how it can help you please call Principal on 01202 802001 or e-mail us and we’ll be happy to provide you more information.